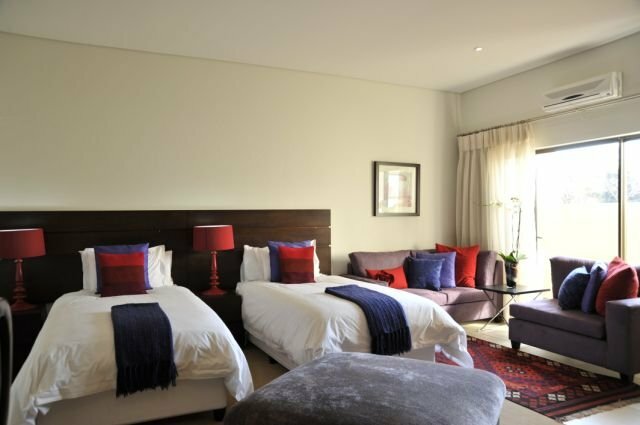 Enjoy your stay in one of our well appointed Bed & Breakfast Guest Houses in Johannesburg - Bernswood, Clouds End, Lynview or Pathways. Choose between a charming secluded cottage or a spacious executive poolside cottage set in a lush tropical garden. Both ideal for bed & breakfast or self-catering. Maximum home comforts, luxury service and provides a memorable experience. Ideally situated and well equipped for the busy executive and holiday-maker. Stylish, comfortable accommodation with easy access to town and the main highway. Maximum home comforts, luxury self catering suites. Very well located in a quiet street. Use our unique 'locate-and-organise' service for group bookings - a competitive, professional service for the arrangement of venues, accommodation and catering for weddings and conferences. Let us organise your shuttle service, shopping excursions or tours to places of interest. Contact us today!